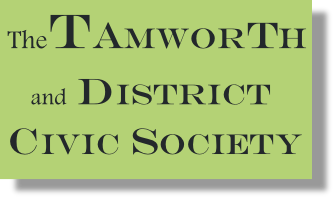 The Tamworth and District Civic Society has joined Civic Voice, the national charity for civic societies. This gives us the support and network of the national civic movement. The President of Civic Voice is television personality Griff Rhys Jones. Picture: Raymond Darkes says this photograph shows his father carrying a wounded fellow soldier in the Battle of the Somme film. Tamworth and District Civic Society (TDCS) celebrated Civic Day with a commemorative event to mark the centenary of the Battle of the Somme. The civic society showed a special screening of "The Battle of the Somme" 1916 documentary film. What makes this film even more special is that a local resident, Raymond Darkes, has long been convinced that a soldier seen carrying a wounded fellow soldier on his shoulders in the film, is his own father, Frederick. Attendees also listened to one of TDCS' leading members who is an Honorary Research Fellow in War Studies at the University of Birmingham and a founder member of the Western Front Association. 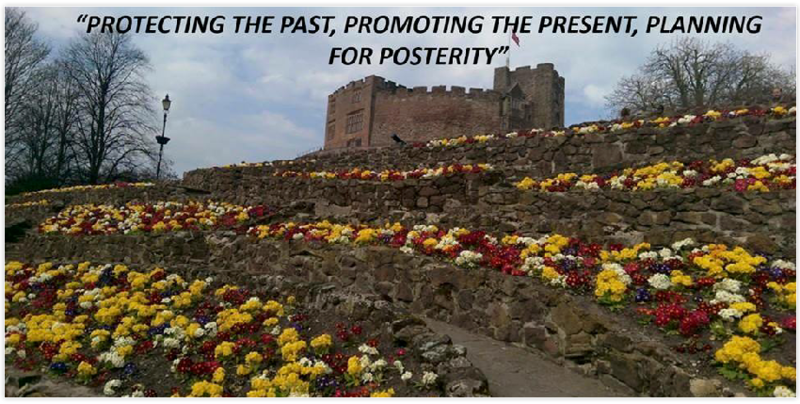 TDCS have also been busy campaigning to save their local war memorials. TDCS brought Tamworth's largest war memorial - the Hall of Memory (opened by the Queen's father, the Duke of York in 1924) - back into use last Armistice Day, for its intended purpose, for the first time in over 20 years. This coming Armistice Day, TDCS are holding an even larger service, and hope to make the event an annual tribute. TDCS are one of Civic Voice's newest members and are showing why they are classed as one of the most active societies in England. Civic Voice applauds the effort from everyone involved at TDCS.